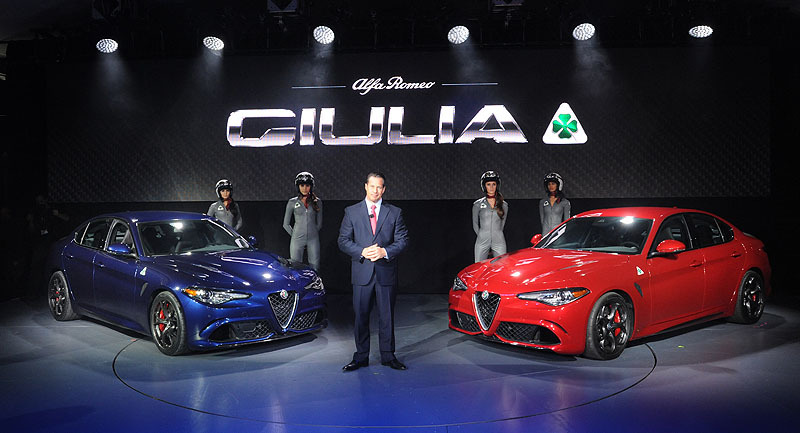 ~ November 18, 2015 , Auburn Hills, Mich. – As the first of a new generation of vehicles built on an all-new platform, the 2017 Giulia Quadrifoglio embodies Alfa Romeo’s La meccanica delle emozioni (the mechanics of emotion), delivering race-inspired performance, advanced technologies, seductive Italian style and an exhilarating driving experience to the premium mid-size sedan segment. 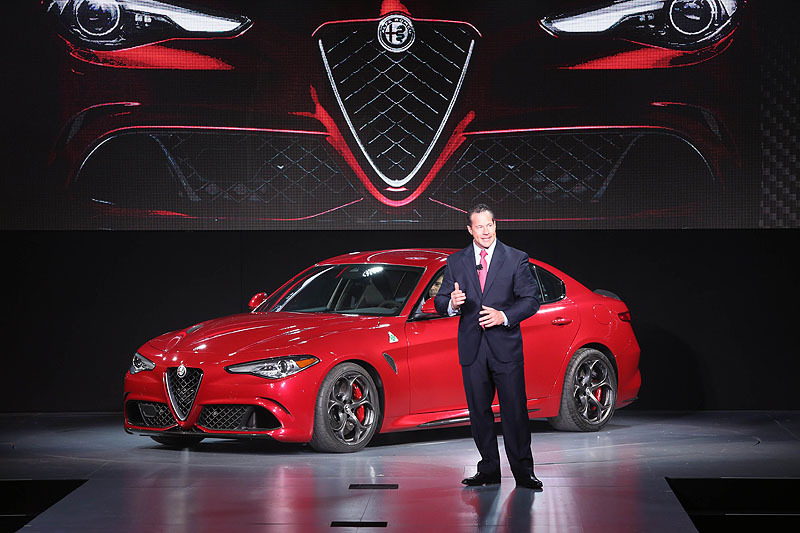 Incorporating next-level technologies, the Giulia Quadrifoglio features a Ferrari-derived 505-horsepower bi-turbo V-6 engine, Alfa Romeo’s most powerful production car engine ever, cylinder deactivation and carbon fiber active aero front splitter for improved handling at high speeds. 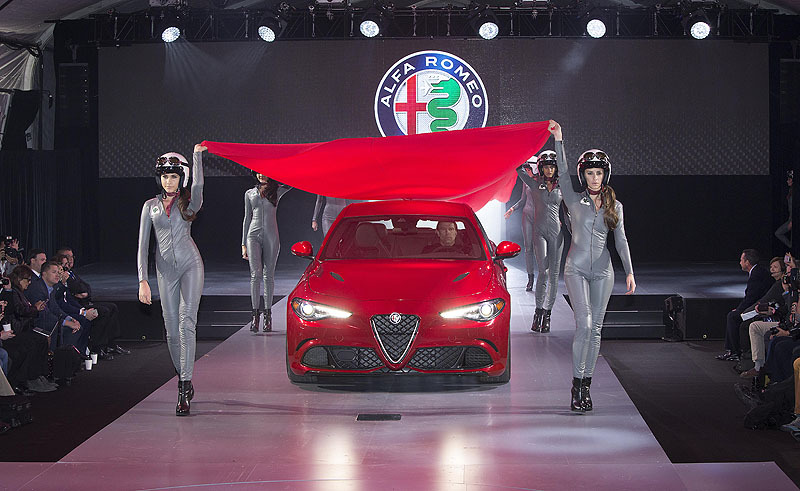 Race-inspired performance is achieved courtesy of the Giulia’s extensive use of ultralight, high-strength materials, which include a carbon fiber driveshaft, hood, roof and more – all for a best-in-class power-to-weight ratio and near perfectly balanced 50/50 weight distribution, resulting in a class-leading 0-60 miles per hour (mph) time of 3.8 seconds and a record-setting Nürburgring time. 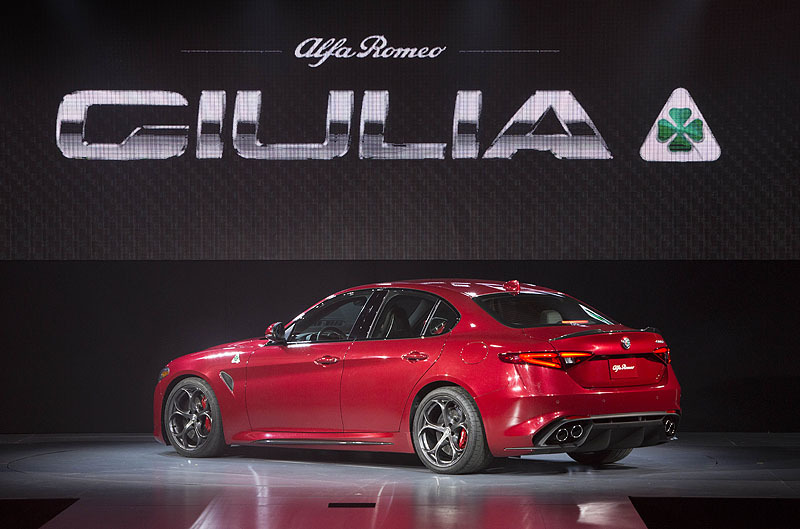 And similar to all great Alfa Romeo vehicles, the Giulia features stunning Italian design with impeccable proportions and attention to detail that enables a timeless Alfa Romeo style with world-class craftsmanship.